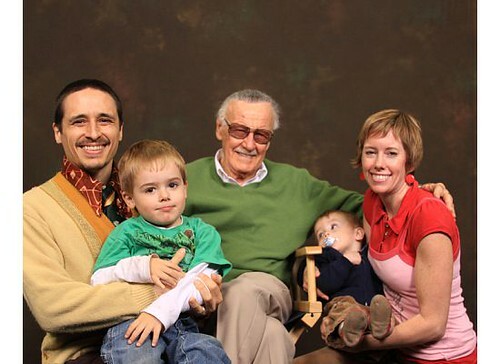 wife | "I'm Not The Artist"
Wisnia family apparently includes comic legend, Stan Lee. Elizabeth Wisnia has been married for nearly 10 years to her artist husband, Chris Wisnia. 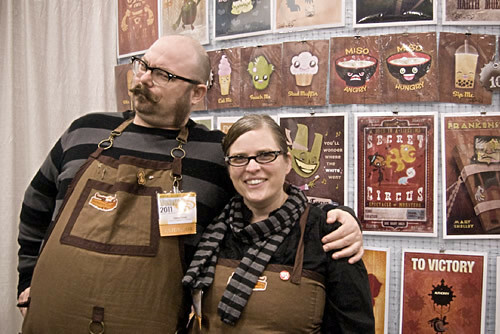 In the years they’ve been together, they’ve spent almost eight years exhibiting at comic conventions (including San Diego and WonderCon) promoting Tabloia, Monstrosis, Doris Danger, Dr. Debunko and a slew of other projects that keeps them busy. If that wasn’t enough, their plate is overflowing taking care of two young boys. For Elizabeth, surviving the comic circuit is all about balance and support. 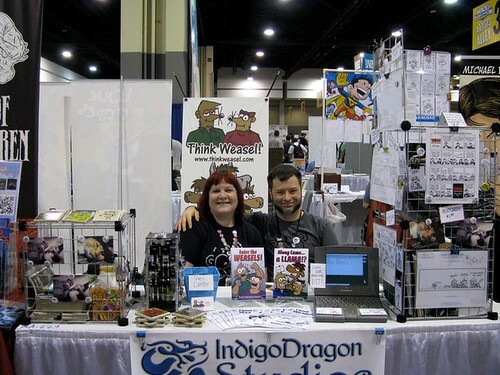 Angela (the wife and non-artist) and Nick Mizgala (the creator) of Think Weasel! The team behind Think Weasel! consists of Nick and Angela Pratt Mizgala of Decatur, Georgia. This married couple of seven years has been exhibiting at various conventions for the last two years. Aside from promoting Nick’s webcomic, Think Weasel!, Angela shares the table promoting her own crafts which include earrings and bracelets.